NAPA Steel revolutionizes the initial and basic design for structures by taking the design work from traditional 2D drawings to 3D modelling. Using a 3D model for structural design from the beginning of the project has several benefits, from earlier rule compliance information leading to more accurate weight and cost results. NAPA Designer offers intuitive and easy to use 3D modelling experience for structural design. It enables effective modelling experience from the first design rounds of concept phase and adapts throughout the initial and basic design phases providing tools for easy design update and detailed modelling. It is made for ship design separating it from other general CAD systems. NAPA Drafting offers tools for efficient drawing generation directly from the 3D model. It has specific tools for maintaining and updating the drawings when the design evolves staying all the time connected to the 3D model. 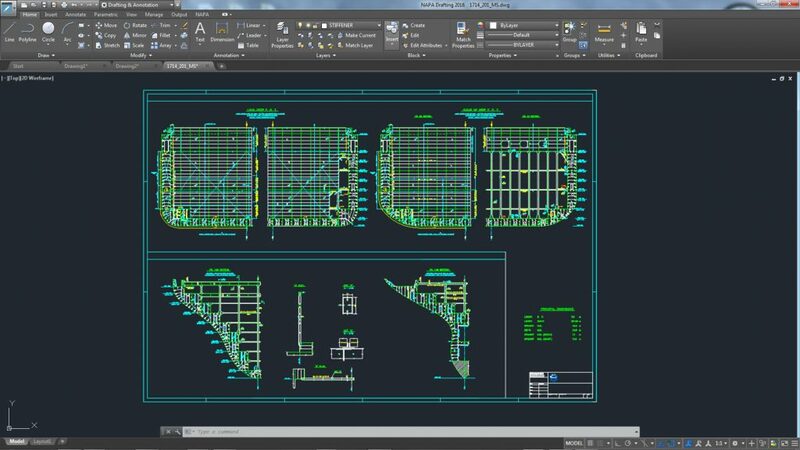 It is powered by Autodesk’s AutoCAD technology covering all the needs of 2D drafting. Ship drawing specific annotation tools completes the package to master all the needs of classification drawings. 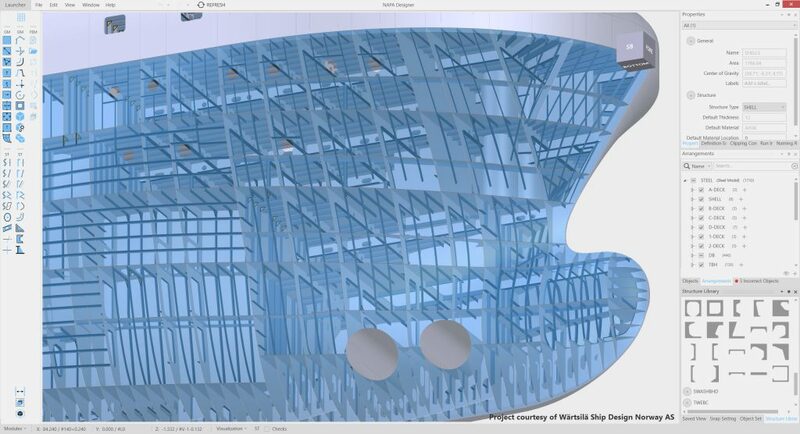 NAPA Steel supports ship structural design by offering best of the industry FE automesher for ship structures and connects seamlessly to all major class rule check packages. NAPA is class independent having the possibility to perform rule check against all classes from the same 3D model. NAPA Steel provides fast and reliable numeric output such as, weight and center of gravity calculation, bill of materials for early estimation of materials, welding lengths and early production load & cost estimation and painting area calculation. All output and reports are highly customizable. NAPA Steel integrates seamlessly to design process by interfacing to other software in the industry. Numerous general CAD formats are supported to import and export data from NAPA to support for example outfitting and share information to the whole design organization. In addition, there are production design software specific interfaces to e.g. Aveva Marine, Smartmarine 3D and Cadmatic Hull & Outfitting. Do you want more information about NAPA Steel? Would you like to test it out?